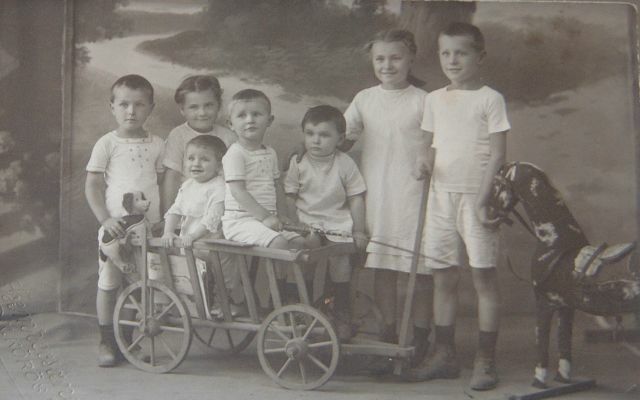 The seven Szervánszky children - Gárbor, Kati, Péter, Endre, Sári, Judit and Jenö. 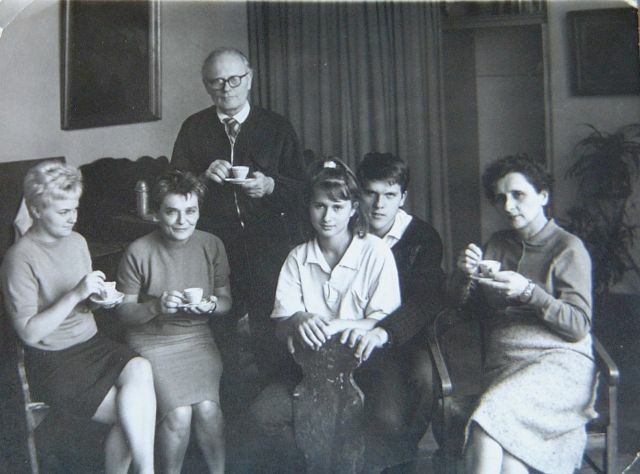 Kati, Judit, Sári, Péter, Endre, Gárbor, and Jenö. A photograph taken in the 1960s. 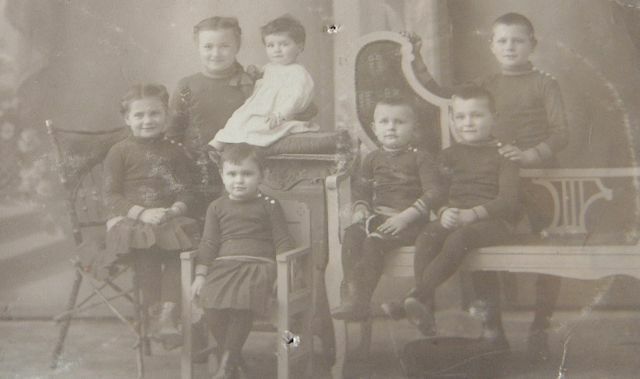 From left to right - Cousin Krisztina (daughter of Aunt Judit), Aunt Sári, Jenö, children Valeria (Vali) and Attila and Jenö's wife Valeria (Vali). The group are in the studio which was far less cluttered then than it is today!